Most children, even on a young age, are already exposed to digital devices. Because of this, the harmful blue light can definitely enter the eyes and bring problems such as eye strain. 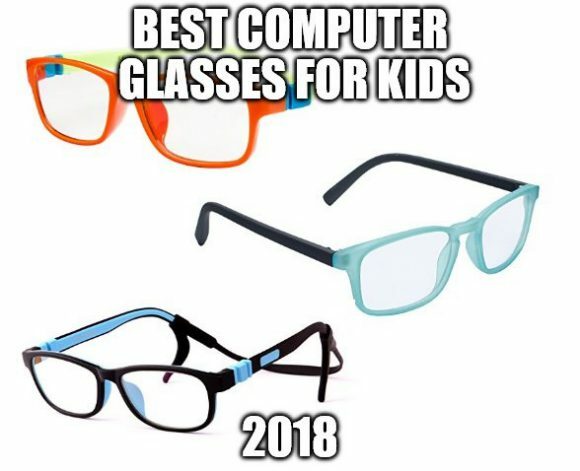 That’s why I decided to list the best computer glasses for kids. Computer eye strain is a widespread problem and everyone of us, including the children are greatly affected. Even in a young age, kids already know how to use these devices. This results to issues such as dry eyes, red eyes and even mild headaches. The blue light that comes from digital devices can damage our vision, most especially if we are exposed to it for a long period of time. So I decided to make a list of the best computer glasses that you can give to your kids. This list is based on the effectiveness, durability, and appearance of the eyewear. The frame comes in light blue or green color with arms colored in black. With this assembly of colors, the front of the face is highlighted. The colors are subtle yet eye-catching and is perfect for children. The frame surrounding the lenses is translucent. The whole has a matte finish which gives a comfortable feel to its surface. The lenses also have anti-radiation coating. But instead of a yellowish tint, a very light blue tint could be noticed at its surface. The color of the lens enhances clarity of the images viewed through the lenses by having a much sharper contrast. The package includes a box, a microfiber drawstring bag, and a stylus. The microfiber drawstring bag is soft to touch and can also be used as a wiper for the lenses. What I like about these glasses is its frames. Honestly, the frame has a unique look. Both the sides of the bridges have spring powered nose pads that help in distributing the frame pressure evenly. These nose pads make the frames sit on your face in such a way that you feel like you are not wearing anything. By the way, the lenses don’t have any colored tinting on them. Since it is transparent, you can clearly see the true color of the digital screen. Spektrum kids computer glasses come with a lot of awesome accessories. There is hard protector case, cleaning cloth, interchangeable over-ear pieces and even a head strap to fix the glasses tightly. When using the lens regularly, the eyes won’t feel tired even if you stare at the screens for long hours. Your children can look at their beloved monitors for hours and their eyes will remain exactly as they were when they started. Aside from thee blue colored frames, there are other color variations that you can choose from. The colors are striking in appearance and are attention-catching. Because the children are commonly playful, Mind Bridge ensured that the arms of the frame is extended to curl efficiently on the user’s ears. The addition of a string connecting the end of each arm adds to the prohibition of slipping. Nevertheless, this eyewear can protect the kids’ eyes from harmful radiation such as high-frequency blue light and ultraviolet rays. The anti-reflective coating of the lenses minimizes glare. The package comes with one hard case and one soft cleaning cloth. The case prevents the product from foreign material such as moisture, dust, etc. and lessens the tendency to have mechanical damage. On durability, it is well-established that TR90 and silicone can withstand a lifetime due to its high deformation index and heat-resistance. The wayfarer design will make kids look nerdy yet cute especially with the variety of pastel colors they could put on the frame. Since this eyewear is made for kids, Little Eagle ensures that this eyewear is safe and non-toxic. The frame is made with polycarbonate material which makes the frame light and comfortable to use. It is also durable and can withstand enough shock and heat. Unlike any other computer glasses, its lenses have clear tint coating. It serves as a filter and blocker of harmful blue light emanating from computer screens, cellular phones, tablets, television screens, and the like. Nevertheless, the tint also improves the contrast of the image making it a bit sharper and hence clearer. What I like the most about these glasses are the extra accessories included. This pair of Little Eagle glasses comes with one split leather case and one cleaning soft cloth. These are just some of the best computer glasses that you can have and give to your children and kids. Among these eyewear, I personally prefer the True gear iShield and Mind Bridge computer glasses. The tint on the lenses are not that dark thus provides lesser color distortion. They can also sit on the ears and nose without having much trouble. Nevertheless, all of these glasses provide premiere protection for our kids and children. Blue light and harmful UV rays are prevented from entering the eyes thus minimizes eye strain and other related issues. I suggest that you take time in choosing the best computer glasses that you can give to your kids. I found your article interesting: “Best Computer Glasses for Kids 2018: Protect Your Children From the Harmful Blue Light.” I have noticed issues with my eyes strain from working too long on computer. The issues from harmful blue light on children’s eyes are common. Such eye strain, red eyes, & loss of vision . 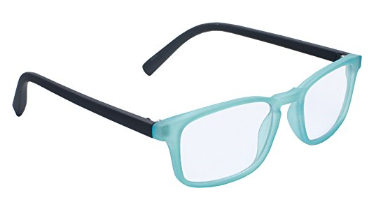 It’s good to see there are computer glasses available for kids. Great options to select from. My favorite are the “Spectrum Kids Computer Glasses.” just because of it’s unique look. Are there options for some computer glasses available for adults? Thank you for this post. Really valuable info. Yes, there are options for adults. Take a look at them in here. Wow, I never thought of how much strain working on a computer puts on my daughter’s eyes (typing it out kinda makes it seem a bit obvious to me now). I quite like the mind bridge blue light glasses you reviewed. Being a bit fashion conscious, I’m sure she’ll have no problem wearing them! Kids nowadays should start protecting their eyes the soonest time possible since they are already exposed to digital devices in such a young age. Thank you, that is an awesome review there. I personally could use the spektrum glasses for my daughter. I have a question though, do you know if it works for any age? I think it is free size for all kids and teens. Feel free to check the sizes of the glasses on their product description. Thanks for this info. My sons spend countless hours on the computer and I am really glad for the info you have provided. Recently, I have been concerned about my youngest son’s itchy eyes. I am sure it’s because of eye strain. I will grab a few pairs of these for sure. Prevention is always better than cure. I am glad that I have helped you with your kids problems. BRILLIANT ! John, you touched on an issue that EVERY parent should be concerned about. Your review is extremely detailed and explains to any parent out there who values their child’s eyesight, that these glasses are a MUST HAVE ! I wish you wrote a little bit about just what it means to NOT protect your child’s eyes for the later years. Otherwise, your review and preference is nicely detailed and I, for one, am happy that you addressed this crucial topic for every parent. Kudos, John ! Computer vision syndrome is really a serious problem that everyone of us should be concerned of. Most especially the kids and children. I am happy that I have given you some choices of the best computer glasses that your kids can take advantage.